National Memorial Building a memorial dedicated to the memory of the martyrs of the Liberation War of Bangladesh. It is located in Savar. Architect Syed Mainul Hossain has drawn up the design.There are ten mass graves of the freedom fighters. 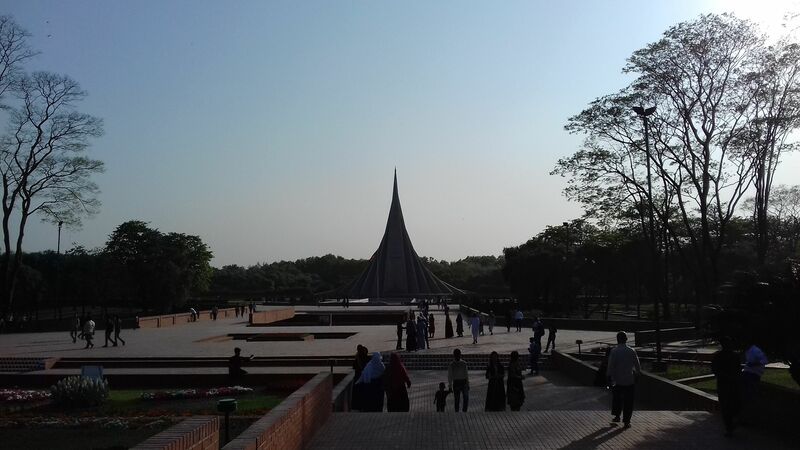 In this memorial, tributes are included in the public when foreign statesmen come to Bangladesh officially. 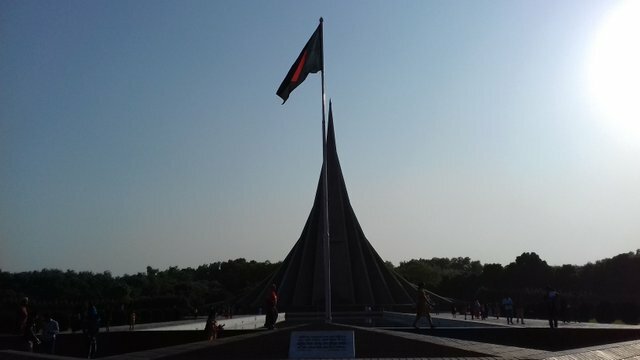 On December 16, 1972, Bangladesh's President Sheikh Mujibur Rahman laid the foundation stone of this memorial at Nabinagar near Dhaka-Aricha highway, 25 kilometers away from Dhaka city. 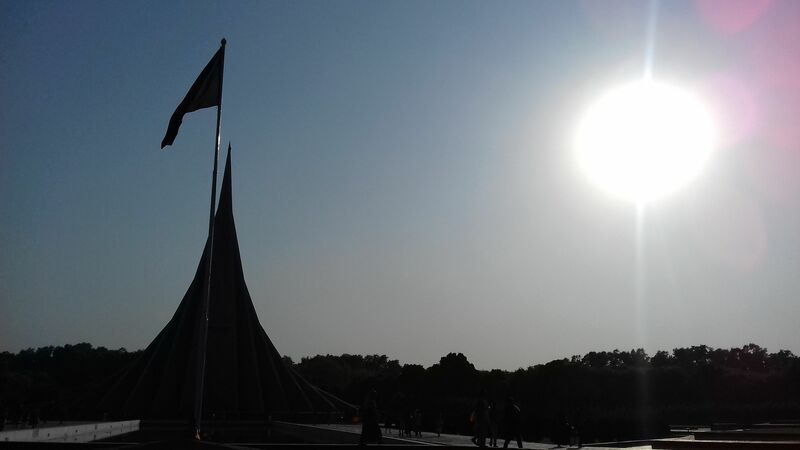 In 1978 President Ziaur Rahman took a vow to build a memorial and the design was called. The designs of Syed Mainul Hossain made in 57 designs received in June 1978 were accepted. In 1979, the construction of the main monument began and in 1982, shortly before the Victory Day. According to a project taken in 2002, there is a plan to set up a flamingo, a wide variety of mural and a library. The foreign tourists visiting Bangladesh have their own memorial plant here. 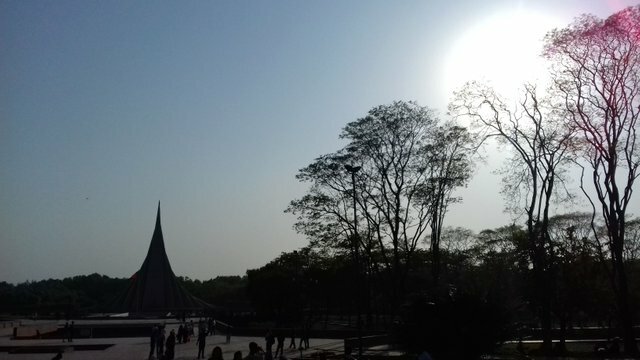 The architectural design of the Government of the People's Republic of Bangladesh was formulated by designing the architectural design of all other construction projects, including the Great Plans and Natural Plan of the project without the memorial monument. The construction work was started in July 1972 and ended in the year of 1988. Public Works Department under the Ministry of Public Administration and Public Works Ministry of the People's Republic of Bangladesh completed the entire construction work. At present, construction of the building is completed at three stages at a total cost of Taka 13.00 crore. thats like a great post..
People gathered at the National parade Ground in Dhaka's She-Re-Bangla Nagar and created a " human flag"which was recorded in Guinness World Record's as the World's largest human nation flag. It's nice to visit places when you have the opportunity and I think you have a nice time to Travel..
with a very beautiful color.